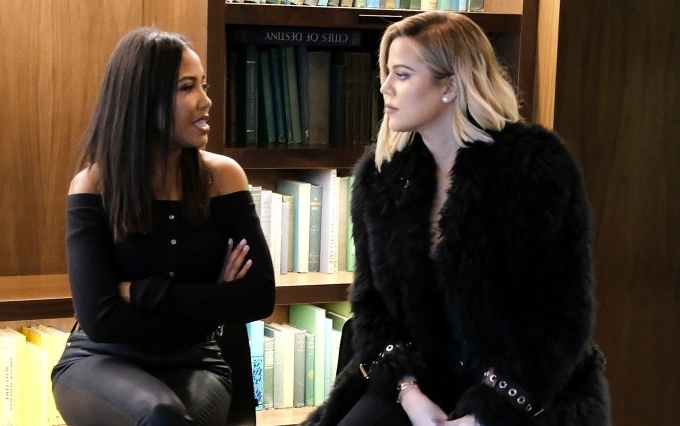 Khloe Kardashian and Emma Grede’s year-old denim label Good American is not only changing the lives of women everywhere sizes 0 to 24, but it’s also having a major influence on the way department stores view plus-size fashion. During an intimate talk moderated by model Leomie Anderson in SoHo, co-founder Grede noted that Nordstrom has credited their brand with changing their retail strategy, “they’ve gone to other brands to ask for more sizes, and they’re changing the way they merchandise their mannequins.” Kardashian said that while she knew that their brand would make an impact, she didn’t expect it to happen so quickly. “Normally, we wouldn’t want competition, but in this aspect, we’re okay with it— bring on the inclusivity.” Below, Kardashian, alongside Grede, talks about why designing for all women is challenging but rewarding and how she didn’t realize that she was considered chubby until Keeping Up With The Kardashians aired on TV. Kardashian: “I never knew I wasn’t an ideal weight growing up—my family never made me feel less than. We all looked different. They put me in more sports than my sisters, but I was more athletic. I didn’t know I was bigger until I started doing our TV show, and once I was in the public eye, people were able to pick me apart. That’s when I was like, ‘oh my gosh, I guess I’m chubby.. or I guess I’m bigger.’ I really commend my mom and my sisters for never making me feel less than. Everyone always ask me, ‘how do you have so much confidence?’ And I’m like, ‘I don’t know!’ I was allowed to wear the body-con dresses, the Herve Leger dresses my sisters wore. I didn’t feel like I was too big to wear that, I was like, ‘I look cute, I look good’. Granted, I should’ve bought a size bigger, but I looked cute.